The majority of private practice websites are built on WordPress or SquareSpace. WordPress enjoys about 70% of the marketshare for all websites using a content management system (CMS) and SquareSpace’s platform is tailor-made for for creative types and smaller businesses—giving it a bigger presence in the private practice space than other industries. While plenty of private practice websites also use Wix.com, the level of polish and available options—even on paid plans— is well behind WordPress and SquareSpace. Other solutions exist, too, like basic HTML sites, but the fact remains most private practice owners talk to a few colleagues, research web designers and come up with the WordPress versus SquareSpace conundrum. So what platform is the best for private practice owners? Is there a clear winner? 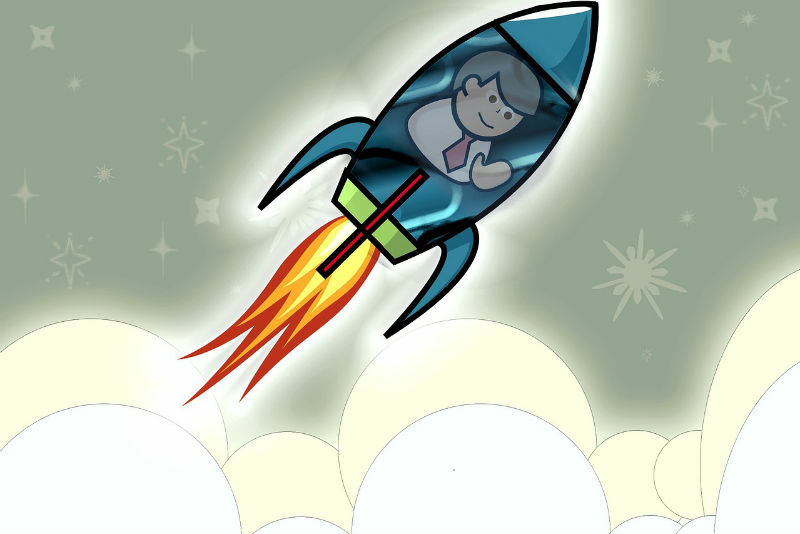 Our team at Private Practice Launcher builds websites on both platforms. We’re biased, like everyone, but also know enough about the pros and cons of each platform to confidently share insights with our readers. 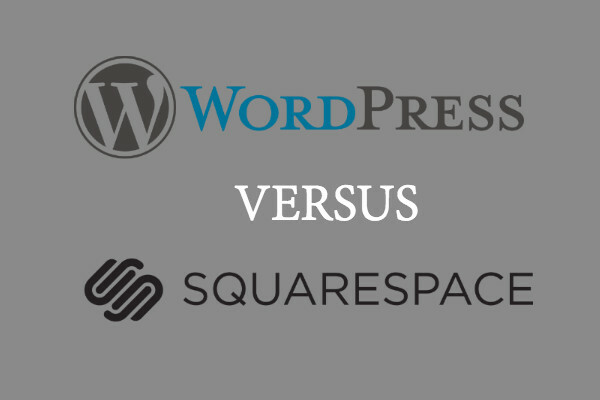 The following overview serves as a primer if you’re weighing WordPress versus SquareSpace for a new private practice website. Maybe you want to have a more educated conversation with your web designer or perhaps consider tackling a website yourselves. Either way, we’ve got you covered. WordPress is the most commonly used website platform for good reason; its combination of a user-friendly admin interface, design flexibility, and feature-rich plug-in library ensures you’re never without an option to add that cool feature to your site and manage much of the day-to-day content updates yourself. Scalability: The biggest perk of WordPress is undoubtably the ability to scale up and add a plethora of features and wrinkles as your business grows. While SquareSpace works perfectly well for private practices only requiring a contact form, newsletter signup, and a few other integration, WordPress can seamlessly integrate with any type of website feature imaginable. Better Design Options: Everyone knows a SquareSpace site. While their website templates are clean, modern, and often perfect for a private practice owner, one can only choose from a few dozen templates and even the most savvy web designer is left with a limited amount of options to really customize the experience. Most WordPress websites also start with a template—one of thousands, not dozens—but the ability to customize every last detail gives private practice owners the ability to create one-of-a-kind experiences for their visitors. A Future-Proof Foundation: SquareSpace has made great strides as a go-to content management system for established brands, start-ups, and small business owners alike. Their platform, however, is contained within the company and changes to their pricing model or feature sets means you’re stuck with the changes—for better or worse. WordPress is simply a CMS installed on any hosting service and offers enough 3rd-party options to ensure you’re never without a fast and reliable website with plenty of room to grow and shift with the ever-evolving digital landscape. Extra setup steps: While SquareSpace sells a complete package for a monthly fee, WordPress users must signup for hosting elsewhere (e.g. GoDaddy) and install WordPress to get started. The process is pretty easy, but does require extra steps to get started. More moving parts to add features: Want a simple e-Commerce feature or event calendar? While options for WordPress sites greatly trump SquareSpace, few features are available out-of-the-box. You’ll have to hunt down plug-ins (i.e. 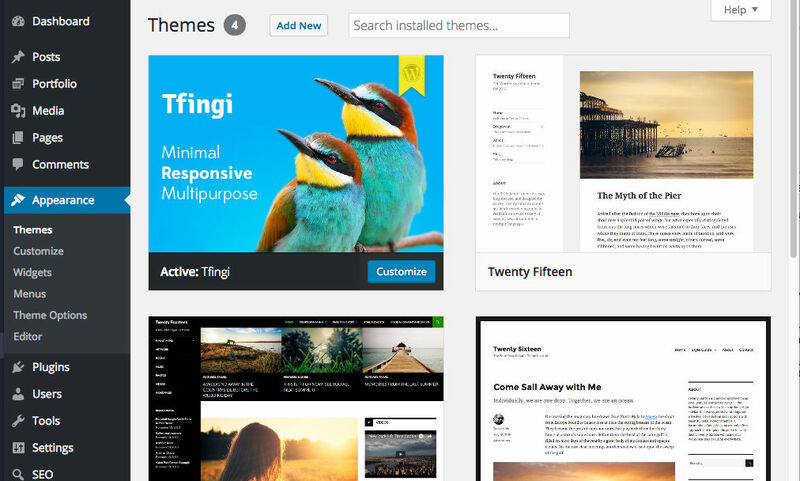 add-on features developed by third parties) to implement something unless your WordPress theme comes with the option. SquareSpace, on the other hand, comes pre-packaged with a handful of useful features—like the aforementioned e-Commerce and events—that are useful for many private practice owners. SquareSpace’s platform offers user-friendly out-of-the-box websites. It’s hard to beat for private practice owners wanting to tackle much of the setup work themselves and come away with a polished online presence. Easy Setup: First thing’s first: Both SquareSpace and WordPress websites are greatly aided by a web designer’s deft touch. With that being said, most people with time on their hands can signup for and create a SquareSpace site by themselves. It might require some hair pulling early on to grasp their admin interface, but it’s not unapproachable. You’ll also find solace in the fact everything from hosting and domain registration to the design templates are all a few clicks away. Dummy Proof Mobile Design: Over half of digital media consumption now occurs on smartphones and tablets. Poorly-designed WordPress sites might not look great on mobile given the number of moving parts and a bigger reliance on web pros to put together a finished product, but it’s almost impossible to make SquareSpace’s newer templates appear subpar in a mobile environment. Limited Features: SquareSpace gets their offerings right; things like basic e-commerce are seamless and easy to setup. Yet you’re stuck with their offerings to a degree and might be up the creek without a paddle if you want to add a feature they don’t support. Advanced customizations and features like client login portals might not be on the table for SquareSpace, but WordPress ensures plug-ins are available to seamlessly add almost anything possible to your website without losing a beat. Hosting Infrastructure: SquareSpace sites tend to load slower by industry standards and there’s less custom tweaks available to mitigate issues like high-resolution images loading slowly on your homepage. While hosting powerhouses like Host Gator or niche options such as A Small Orange offer plenty of amazing hosting plans at cheaper costs, the packaged SquareSpace plans don’t even get into the hosting specs—you simply buy a plan with certain features and rely on their servers to get the job done. While this might not seem like an issue for smaller websites without a ton of traffic, page load times and other metrics also affect page rankings in Google. Both SquareSpace and WordPress websites are worthy considerations for private practice websites. Many of the pros and cons involve splitting hairs between two platforms ready to help you or your web designer get the job done and create an awesome website. If customization and scalability are top priorities, consider a WordPress site and hire a web designer. If your private practice realistically needs a more simple, static website, SquareSpace is a great choice and cuts down on the technical complexities. And both options still require great copy and attention to design to set yourself apart from the pack. Copyright © 2019 by Experient Media, LLC.